As the Industrial Internet of Things (IIoT) gains momentum, the enhanced internetworking of physical devices is yielding cyber-physical systems with improved process state visualisation, higher-level modelling and simulation capabilities, and improved process control. 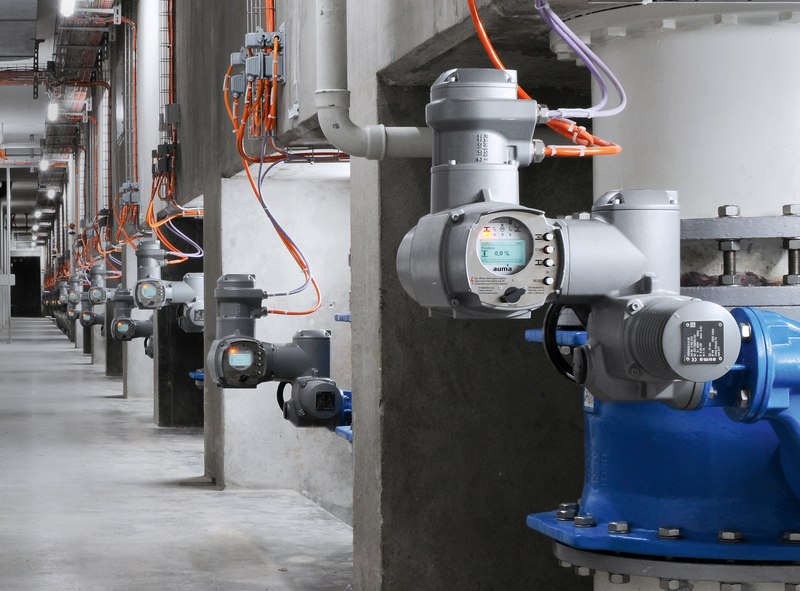 AUMA’s electric valve actuators play a key role in these systems: on the one hand, they make remote process operation possible by opening and closing valves. On the other hand, intelligent electronics allow the actuators to act as information hubs for both process-related and actuator-related data, based on advanced self-diagnostics. As an application example, several hundred AUMA actuators have been successfully integrated into a real-time sewer network control system for the city of Vienna, Austria. After heavy rain, the scheme has cut combined sewer overflow by more than 50% and so reduces water pollution. Online rainfall forecasting and real-time simulation help to optimise capacity management of holdup reservoirs spread across the 220km2 of Vienna’s catchment area. The actuators provide essential valve position feedback to the system. Following the results of the real-time simulation model, the actuators are centrally controlled to optimise the combined sewer flow. Although any kind of communication scheme can be used to embed actuators into such systems, including 4–20 mA signals or conventional fieldbus, AUMA’s advanced industrial ethernet interfaces for Modbus TCP/IP and Profinet are especially suitable and provide unprecedented connectivity. All information is directly available on the IT network and can be used for process visualisation, statistics, or advanced modelling to improve process performance.